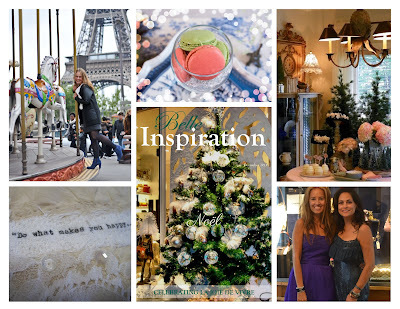 I imagine most of you have heard about Belle Inspiration's complimentary issue of the holiday 2013 issue. What a nice gift from Mimi. It's a beautiful issue so don't miss out - more info below. Do you like fancy frames as much as I do???? If only I could decide what to do! I love fanciful frames and old wooden coat hangers too! Yes...it's rainy and foggy here - AGAIN!! Just in case you are not aware, Mimi Bleu has a wonderful holiday treat for all of us this year. She has made the newest issue of Belle Inspiration available to everyone. about Christmas at Blue Creek Home in it. the Mimi Bleu crew at Belle Inspiration. Such a beautiful frame, Rhonda! Yes, I love frames like this and am always drawn right over to them. The potential projects always go through my head while I'm admiring them, too.